Soprano Carla Huhtanen is in demand internationally for her soaring, translucent voice, winning stage presence, and her diverse repertoire. She debuted in the UK as Lisetta in Garsington Opera's La Gazzetta (Rossini) and returned as Serpetta in their production of Mozart's La Finta Giardiniera, a performance repeated at the Barbican Centre's Mostly Mozart series. She debuted in Italy at Gran Teatro la Fenice in Venice as Daisy Park in Gershwin's Lady, Be Good! and returned to La Fenice as Athenas in Cherubini's Anacron. In France, she sang the title role of Purcell's The Fairy Queen for Festival Mars en Baroque (Marseille, Tarascon, and Aix-en-Provence) and Angelica in Handel's Orlando for Theatre Gyptis (Marseille), Festival Musique au Coeur (Antibes) and Festival de Chartres. A reprise performance of Lady, Be Good! took her to Lisbon's Teatro Sao Carlos and she was featured soloist in a Leonard Bernstein Tribute with the Israel Philharmonic. She has been praised for her vivid, fine-toned, accurately placed coloratura (Independent) and her clarity of tone and smoothness of line matched only by her exquisite acting (Opera Now). 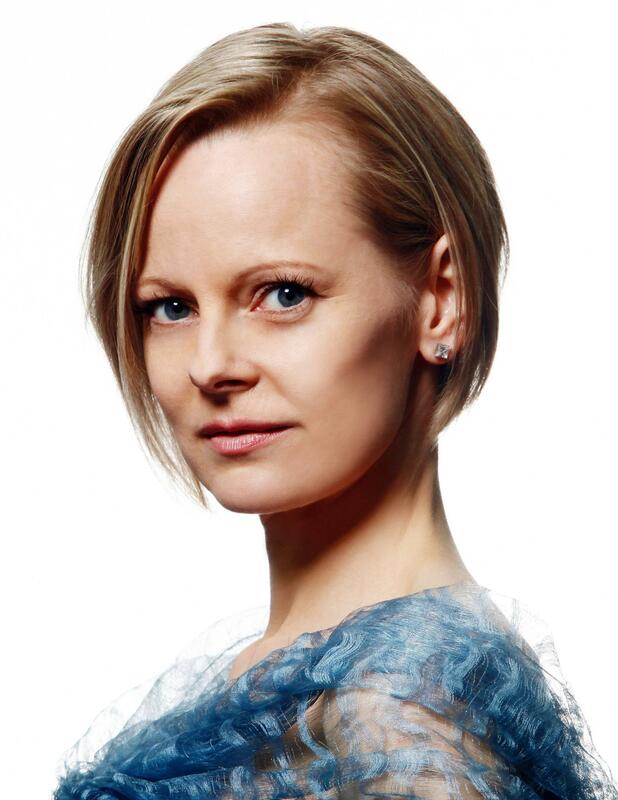 Ms. Huhtanen's 2014-15 season includes appearances with the Art of Time Ensemble in Toronto, Mendelssohn's Midsummer Night's Dream for the Kitchener Waterloo Symphony, Pergolesi, Turina and Hohvaness for the Talisker Players and Lully's Armide for Opera Atelier at Versailles, Columbus, Ohio and in Toronto. Her frequent appearances with Opera Atelier have included Minerva/Amor in Il ritorno d'Ulisse in patria and Drusilla/Fortuna in L'incoronazione di Poppea by Monteverdi, Blonde in Entführung aus dem Serail, Susanna in The Marriage of Figaro, Zerlina in Don Giovanni and Papagena in Die Zauberflöte by Mozart, a South Korean tour of Charpentier's Acton and Purcell's Dido and Aeneas, and Lully's Armide and Persée in both Toronto and at Versailles, and Ännchen in Der Freischutz. A leading interpreter of modern and contemporary music, Carla performs with Continuum New Music, Queen of Puddings Music Theatre, and as a Studio Ensemble member of Tapestry New Opera, where she develops and premieres many roles for their Opera To Go and Opera Briefs performances. Carla appeared in The Shadow with Tapestry, in Soundstreams Canada/CBC's performance of Brian Current's Airline Icarus, and covered Marie in Luminato's production of Rufus Wainwright's Prima Donna. Concert performances have included Carmina Burana and Esa-Pekka Salonen's Five Images after Sappho with the Kitchener-Waterloo Symphony and Pulitzer Prize-winning Paul Moravecs The Blizzard Voices with Opera Omaha. Chamber music concerts featured music by Karin Rehnqvist, Phillipe Leroux, Geoffery Hannan and Giacinto Scelsi. Recording credits include Herbert's Babes in Toyland with the London Sinfonietta for EMI, Vivaldi's Griselda and Sacred Music Vol. 3 for Naxos Records, and the Juno winning Mozart's Magnificent Voyage. Carla recently recorded The Music of James Rolfe on Centrediscs (released fall 2010). Carla was one of Now Magazines Top Ten Theatre Artists in 2008, and her amazing versatility and unwavering voice won her a place on Eye Weekly's Top Ten Great Individual Achievements List of 2007. She has performed Orlando/Lunaire with Opera Erratica in Toronto (combining Handel opera and Schoenberg's Pierrot Lunaire) and in Array New Music's Michael J. Baker Tribute. Other projects include Saariaho's From the Grammar of Dreams, Sokolovic's opera Svadba with Queen of Puddings, Blonde in Entführung aus dem Serail with Edmonton Opera and recitals with Off Centre Music and Alliance Française in Toronto.